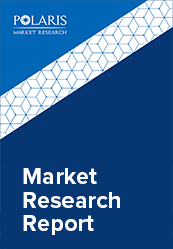 The global electronic contract manufacturing services market is estimated to be USD 228.1 million in 2017 and is estimated to grow at a CAGR of more than 10% during the forecast period. Major drivers for the electronic contract manufacturing services market include advanced skills, economies of scale, as well as concentration in core competencies. The companies offering electronic contract manufacturing services take multiple contracts from several customers. Thus, providing services to multiple customers simultaneously facilitates them to acquire huge quantity of raw materials at a very low price. Moreover, companies can also take advantages of the expertise from contract manufacturers for manufacturing of electronic goods. Further, contract manufacturing also helps in business expansion into new and untapped markets. However, regardless of the advantages offered by contract manufacturing, certain key challenges are responsible for hampering the market growth. These challenges include, quality concerns, loss of intellectual property, and lack of control over manufacturing process. When a hirer company enters into a contract with contract manufacturing company, the hirer company has to disclose their technologies and production related formulas, which can result in loss of their significant private information. Furthermore, the hirer company has to rely on the contract manufacturer for maintaining quality thereby, losing its control over the quality of the product. The global electronic contract manufacturing services market is expected to boost and grow at a significant pace across non-technical segments including, aerospace & defense, medical, and automotive. This growth is attributed to the high growth opportunities and low penetration rates in these sectors, over the coming few years. The growing need for resource optimization is one of the key factor propelling the electronic Contract Manufacturing Services market growth during the forecast period. By Geography, the Asia Pacific electronic Contract Manufacturing Services market is anticipated to attain the leading position. The growth is highly influenced by China, which comprises of several electronic manufacturing companies. Also, the business ecosystem highly depends on the network of component manufacturers, suppliers, distributors, as well as government agencies, all of them are involved in the manufacturing process. Further, availability of cheap labor, strong supply chain, and less compliances in the country are also helping the market to grow in China. The major players operating in the electronic contract manufacturing services market include Flextronics International Ltd, Hon Hai Precision Industry (Foxconn), Universal Scientific Industrial Co Ltd, Shenzhen Kaifa Technology, Beyonics Technology, New Kinpo Group, Benchmark Electronics, Sanmina-SCI, Zollner Elektronik, Celestica, Jabil, Inc., and Elcoteq SE among others. The key companies are highly focused on enhancing operational competences and supply chain to attain market share and to efficiently compete in the electronic Contract Manufacturing Services market.